The Department of Traumatology at the University Hospital Rechts der Isar Munich is one of the leading medical facilities in Germany and offers the full range of services in this medical field. The doctors of the department specialize in the treatment of bone fractures, soft tissue injuries and joint diseases. Of particular interest is also the treatment of severe injuries and polytrauma. All therapeutic measures comply with the current treatment guidelines of the German Society of Traumatology. The department is headed by Prof. Dr. med. Peter Biberthaler. The department has 40 beds, two operating rooms for surgical treatment of injuries of the musculoskeletal system and one specialized operating room for the treatment of hand injuries. The operating rooms are equipped with state-of-the-art diagnostic and therapeutic equipment, which ensures an optimal result even in particularly severe clinical cases. The department annually treats more than 2,300 inpatients and 23,000 outpatients. All medical services are provided at the highest level of university medicine. The primary goal of the department’s medical team is to restore the patient's functionality for their fastest possible reintegration into professional and personal life, as well as to improve the quality of life. Prof. Biberthaler’s scientific activities are focused on the directions of his clinical activities, which include the treatment of severe injuries (polytrauma) and traumatic brain injuries. The second important clinical, and accordingly, research focus is shoulder surgery. In this field, Prof. Biberthaler became the first specialist who had managed to image blood flow in the tissue damage region with the use of intraoperative microscopic techniques. After studying medicine at the Ludwig Maximilian University of Munich, s well as in the US and Brazil, Prof. Biberthaler had his internship in the Department of Surgery at the Innenstadt Campus of the University of Munich (under the direction of Schweiberer). After becoming a Medical Specialist in Surgery (2003), the main specialization of Prof. Biberthaler was traumatology. 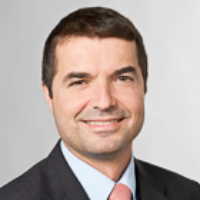 In 2007, he became a Medical Specialist in Orthopedics and Traumatology, while since 2011 he has been the Professor at the Technical University of Munich. 2006 Herbert Lauterbach Prize of the Association of Trade Union Clinics in Germany. 2005 Educational Award of the American Shock Society. 2004 Otto Goetze Prize, Association of Surgeons of Bavaria. 2002 Innovation Award, German Society of Traumatology.